Happy Homemaker Me: Calling All Camera Pros! I'm so excited. Jesse and I have been saving up for months and months to get a new camera. The one we have right now is from my sophomore year of high school, and it's a dinosaur of digital point-and-shoots! Our family has been giving us money on our birthdays to go toward a new camera, and we're finally there! We're planning on saving even more by waiting until Black Friday. Buuuuuuuuuut...we need recommendations. We really want a Digital SLR, but we have no experience with them and don't really know what to look for. I've heard from many people that the Nikon D60 is the one to go for, but other people say the Canon Rebel is just as good (and much cheaper!) Does it all really just come down to the lens you use? What would you recommend we look for specs-wise when choosing a camera? Anything you did that you would do differently if you had the opportunity? We can't wait for a new camera and all of the new opportunities it will bring! My dad and Tyler's sister both have rebels (albeit different models) and loove them... Bailey got hers at walmart and the bundle comes with a bunch of extra stuff for $400! 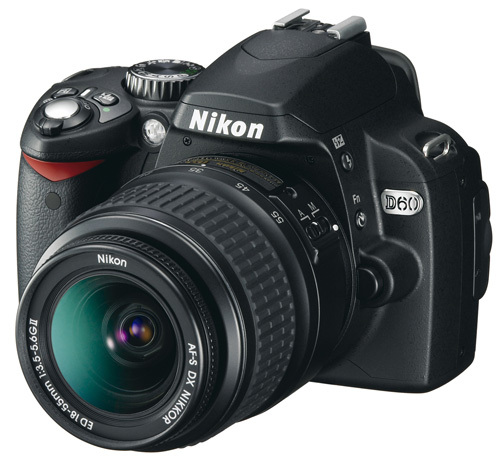 I loved the Nikon D60! I had it for about 3 months but sold it because I wanted something just as good, but smaller and able to take videos. Turns out, that's hard to find, and I should have kept what I had. I was trying to decide between the Rebel and the D60 just like you, and actually, at the time, the D60 was several hundred dollars cheaper, but with just as good of reviews. Over the summer, I tried the Panasonic Lumix (http://www.amazon.com/gp/product/B002IKLJU0/ref=oss_product) which has great reviews, but I thought the quality of pictures was terrible and returned it. There was a yellow tint to every photo on auto adjust. It could have been just that one camera, so maybe check it out and see what you think! I'm not a photo pro and have no real desire to learn at this point, so a DSLR that has an auto setting is perfect for me. You'll find that there are Nikon lovers and Canon lovers, and they don't usually cross boundary lines. :) Ashton Kutcher is the face of Nikon, so that makes it more appealing too. I'm excited to see what you decide on! That is so exciting! I love cameras! My sister is getting her Masters in Photography and swears by anything Canon. oh my gosh! i would loveeee a camera like that. i can't wait to see your pretty pictures!